Maillot 2017/18 Arsenal 2017-2018 Away. 2017-2018 Arsenal Away Long Sleeve Shirt (Wilshere 10) - Kids. 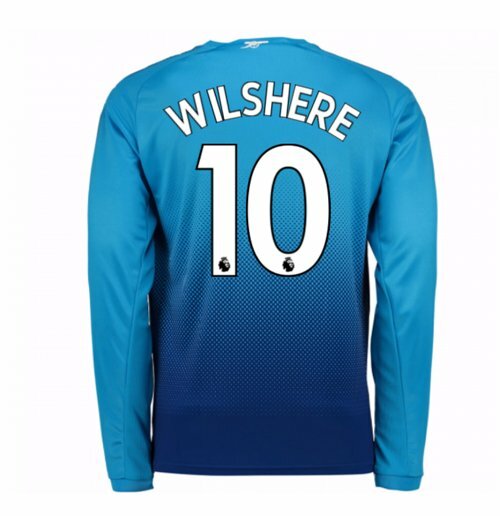 Official Jack Wilshere - Kids football shirt for Arsenal. This is the new Arsenal away shirt for the 2017/18 Premiership season which is manufactured by Puma and is available in kids sizes SB, MB, LB and XL Boys This Arsenal football shirt is blue in colour and comes with Jack Wilshere - Kids shirt printing on the jersey.